edmonton election 2010: know your candidates and issues better. Municipal elections only come once every three years (on the third Monday of October) and if I had my choice, they would come every year. I love election season, especially on the municipal level. While provincial and federal elections are defined by partisan politics and leaders with micro-managed images, local politics offers a more gritty and real politics. It may be easy to believe that because the Prime Minister gets more airtime on the 6pm news that your municipal elected officials are just not important. Although Mayor Stephen Mandel‘s single-vote on City Council probably will not have national repercussions, it could affect the way your City operates and your quality of life. This is why it is important to take some time over the next few weeks to learn more about your candidates and see what ideas they are running on and platforms they are presenting (or not presenting, as is the case thus far with the platform-absent Mayoral candidate David Dorward). Take the time to learn about your candidates and then vote. If you think you will not have any time over the next four weeks to learn more about the candidates who will be on your ballot on October 18, 2010, you should think again. The miracle of the Internet has led to the birth of extensive resources and information available about the issues and candidates. Instead of spending your lunch hour watching YouTube or your evening chatting on Facebook, take a look at some of the online resources available. The City of Edmonton has a comprehensive website with any kind of elections information you will need as a voter or candidate. The fourteen all-candidate forums sponsored by the City of Edmonton will also be live-streamed online so that anyone can tune in from their homes and even submit questions online. For political watchers, this will make it much easier to catch what is being said at the forums (and who is excelling or crashing and burning). Remember that the Ward boundaries have changed and that you will only be able to vote for one Councillor this year. Share Edmonton is an excellent resource for finding out which Ward you will be voting in, dates and times of all-candidate forums in your Ward, and links to candidates’ websites and contact information. Share Edmonton is also a great resource for finding out the election buzz on Twitter. Avnish Nanda has also compiled a great social media catalogue for City Council, Public School Board, and Catholic School District candidates. The Edmontonian and The Unknown Studio will most certainly be providing informed, entertaining, and unique coverage of the election. EdmontonPolitics.com will have some commentary and Mastermaq is the man about town and the king of data. Edmonton’s alternative news Vue Weekly also has their very own special elections webpage. The mainstream media has also set up special websites dedicated to election information. Check out CTV Edmonton, the Edmonton Journal, and the Edmonton Sun. Also make sure to check out the new Edmonton Commons blog hosted by Edmonton Journal columnists Paula Simons and David Staples. As I delve through the links, websites, platforms, and news I will publish profiles of some of the contests and issues over the next few weeks. 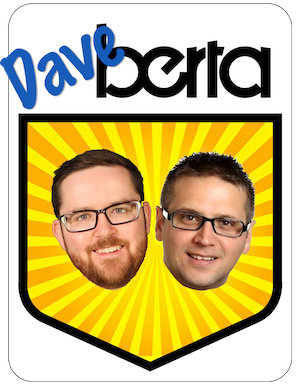 If you are following any of the contests or candidates on the ground, or just have some information you want to share, please comment or send me an email at daveberta.ca@gmail.com. This entry was posted in Edmonton Politics and tagged Avnish Nanda, Daryl Katz, David Dorward, David Staples, Paula Simons, Stephen Mandel on September 21, 2010 by Dave Cournoyer. oil sands toxin-levels report stirs the pot. A recent peer-reviewed study from researchers including University of Alberta Professor David Schindler has raised some serious questions about the level of oil sands caused toxins in the Athabasca River and the regime that is supposed to monitor these toxin levels. Speaking to the media, Dr. Schindler offered some strong words against claims by the government and industry that the toxin levels are natural. Environment Minister Rob Renner responded by telling reporters that his scientists have told him that the amount of compounds detected in the Athabasca River are “not a concern and are of insignificant levels.” Liberal leader David Swann and NDP MLA Rachel Notley jumped on the opportunity and offered their support for Dr. Schindler’s report. Wildrose Alliance MLAs have remained suspiciously silent on this important environmental debate. This entry was posted in Alberta Politics and tagged Avnish Nanda, David Schindler, David Swann, Ed Stelmach, Rachel Notley, Rob Renner on September 1, 2010 by Dave Cournoyer.